44 players from the Ontario Hockey League have been listed among NHL Central Scouting’s October ‘Players to Watch’ list for the 2019 NHL Draft which takes place June 21-22 in Vancouver, BC. The 44 players is part of a greater Canadian Hockey League total of 110, which includes 35 players from the Western Hockey League and 31 from the Quebec Major Junior Hockey League. A pair of OHL skaters were assigned an ‘A’ rating by NHL Central Scouting including sophomore forwards Arthur Kaliyev (Hamilton Bulldogs) and Ryan Suzuki (Barrie Colts). Both players are off to excellent starts in 2018-19, with Kaliyev tied for the league lead in goals while Suzuki currently leads the OHL in points. A total of 10 OHL skaters and one goaltender were included as ‘B’ rated prospects, indicating second/third round candidates. 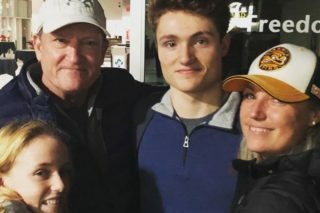 Some names in this category include Canadian Hlinka Gretzky Cup champions Jamieson Rees (Sarnia Sting) and Graeme Clarke (Ottawa 67’s) along with sophomore netminder Mack Guzda (Owen Sound Attack). 27 skaters and four goaltenders were assigned a ‘C’ rating, indicating fourth/fifth/sixth round candidates. 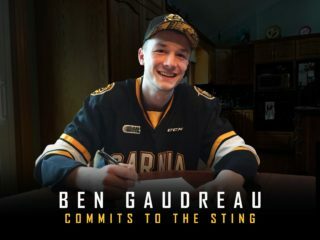 Notable names include OHL veterans Matthew Struthers (North Bay Battalion), Pavel Gogolev (Peterborough Petes), Nathan Dunkley (London Knights) and sophomore blueliner Michael Vukojevic (Kitchener Rangers). The London Knights lead the way with five players included on the list while the Barrie Colts, Guelph Storm and Peterborough Petes trail close behind with four each. 35 OHL players were selected in the 2018 NHL Draft including seven players chosen in the first round.